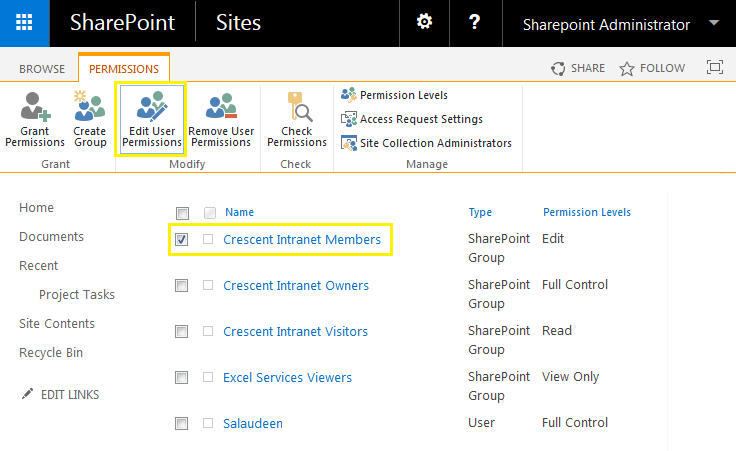 Problem: Prior to SharePoint 2013, Members group of the site has "Contribute" permission. 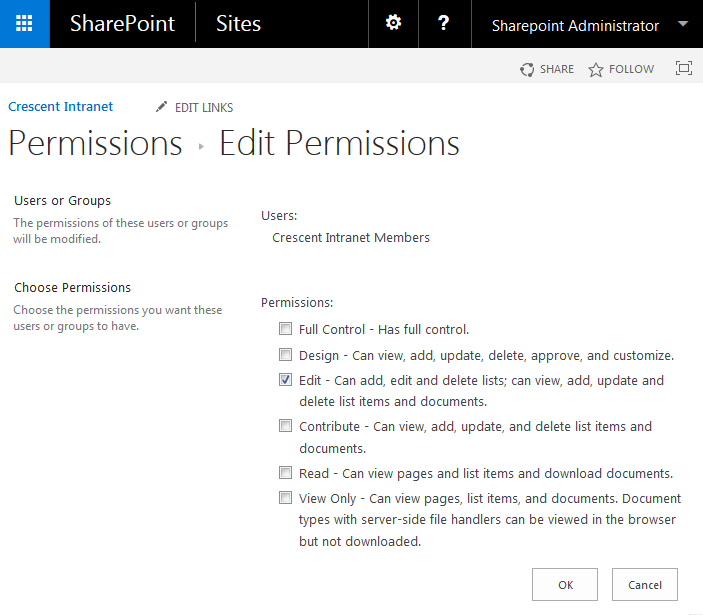 From SharePoint 2013, there was a new permission level "Edit" introduced with more rights. This introduced additional issue like members can delete lists and libraries! In Edit Permissions page uncheck "Edit" permission and select "Contribute"
Click "OK" to save changes. Now the Members group has contribute permissions instead of Edit. Editing the "Edit" permission level and removing "Add, Edit and Delete Lists" permission from it - also solves the problem, but its not recommended to change OOTB permission levels in SharePoint! But wait! who can go to each site of the web application and repeat above steps? Tedious! isn't it? So, lets use PowerShell to re-assign permissions to Contribute from Edit. This PowerShell script changes the permission level for all users and groups from Edit to Contribute. #Iterate through each web and replace "Edit" to "Contribute"
Write-host -f Yellow "Web is inheriting permissions..."